After investing thousands of dollars into your DJ equipment, the last thing you want is something to break down due to improper care. DJs play rain or shine, sometimes in crazy weather conditions. Since your gear is with you everywhere you go the best practice as a DJ professional is to invest in the care of your equipment to make sure it withstands the test of the elements. 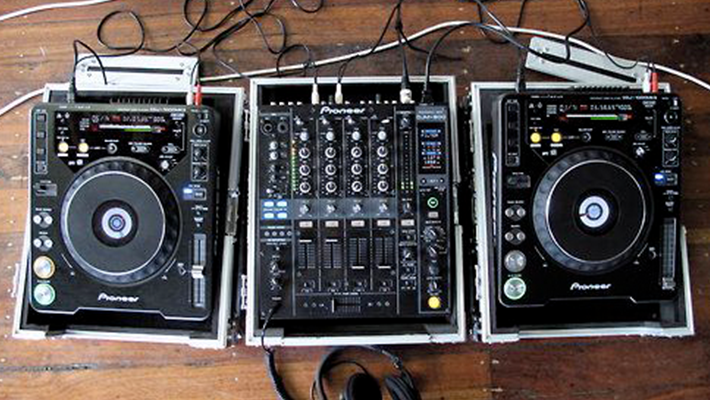 As a DJ, you’re no doubt doing a lot of traveling to and from gigs with your equipment. One of the worst things you can do is carry it all unprotected. You never know what could happen in your car on the way to the venue or while you’re bringing it all to the stage to set up. Pelican Hard Cases or Gator Cases are a few good options for this. They hold everything you’ll need to bring with you, protect it with a sturdy frame, and are oftentimes waterproof. Gator Cases even have ones specifically made for DJ equipment. Cases are good for getting your equipment from place to place but what about after you arrive? Drinks are notoriously known for getting spilled on or around DJ equipment, so it’s best to be prepared for that random drunk person coming up to request a song from you. Decksaver has cases made for specific equipment, like CDJs, controllers and turntables. Prolonged exposure to sunlight can really mess up equipment internally. Try to set up in the shade if you’re playing in the daytime outdoors. If the venue doesn’t have much, consider investing in a pop-up canopy. You can usually set them up in under five minutes and some come with velcro walls for extra protection. You can get some good quality ones from Costco. Not only can the sun mess up your decks and controllers, but it takes a pretty heavy toll on vinyl records too. Prolonged exposure to direct sunlight tends to melt and warp vinyl, which can clearly be a huge problem when you want to play them later on. Be sure to store your vinyl in a shaded area, preferably in a case or crate. Keeping your gear on a raised platform helps with overheating issues, especially if you’re playing on an extremely hot day. Not to mention it helps protect it from those inevitable drink spills. It happens, the weather can be unpredictable and all of a sudden you can be left DJing outdoors with rain pouring down on all of your equipment. To avoid the aftermath of having to internally inspect and dry all of your gear and soak it in rice for a couple days, consider bringing a tarp with you to keep in the booth so that you can quickly throw it over everything if you ever need to. They’re cheap, pretty light weight, and easy to store with you nearby. Canopies (especially the walled ones) help with this too. Humidity is not fun, especially not when it’s slowly accumulating a layer of water on you and all of your belongings. If you ever find yourself having to DJ in an especially humid place, we suggest rolling up some hand towels and placing them around your equipment. It helps to soak up any excess condensation that builds up without getting in the way. DJing in crazy weather conditions is a bit of a struggle, but it definitely pays off in an incredible experience. If you guys have any other tips and tricks for protecting your gear, we’d love to hear them! Comment below and spread the wisdom.